case of gene and enzyme replacement therapies. Several promoters specific for resting or pathologically altered endothelial cells are being identified; utilization of these promoters in gene delivery means greatly enhanced effectiveness and specificity of endothelial transfection of reporter and potentially therapeutic proteins. Ongoing investigations will characterize the practical feasibility of translation of these promising concepts to the clinical domain. Angiotensin-converting enzyme (ACE): A transmembrane endothelial glycoprotein, an ectopeptidase that controls activity of the vasoactive peptides angiotensin and bradykinin, a determinant for targeting pulmonary endothelium. Caveoli: Specialized cholesterol-rich domains in the endothelial plasma membrane that form characteristic flask-shaped invaginations and serve as sensing, signaling, and endocytotic compartments. Caveoli represent a unique target for delivery of drugs and genes into and through endothelial cells. Flt-1: Type 1 receptor for vascular endothelial growth factor (VEGFR-1), an endothelial cell-specific receptor. Flt-1 promoter is useful for driving endothelium-specific gene transfection. Intercellular adhesion molecule-1 (ICAM-1): A transmembrane endothelial glycoprotein that facilitates leukocytes adhesion, a determinant for targeting pulmonary and systemic endothelium, either resting or pathologically altered. Liposome: An artificial vehicle suitable for drug or gene delivery, a phospholipid vesicle (100 to 1,000 nm in size) that can be loaded with various hydrophilic and hydrophobic drugs into the aqueous interior or phospholipid membrane of the liposome, respectively. Luciferase gene: The gene for an enzyme that catalyzes a reaction that emits light (e.g., as in firefly luciferase) that can be detected in a lumi-nometer. It is a common, sensitive reporter gene assay used in gene delivery studies. Platelet-endothelial adhesion molecule-1 (PECAM-1): A transmembrane endothelial glycoprotein that facilitates leukocyte transmigration from blood to tissues, a determinant for targeting resting endothelium. Poly(ethylene glycol) (PEG): A linear organic polymer. PEG conjugation to proteins, liposomes, and cells forms a hydrophilic shell around these objects that repels opsonins and defense cells. PEG-ylation reduces immune reactions and elimination of the injected materials ("stealth technology"). Selectins: Selectins P and E, surface adhesion molecules involved in leukocyte rolling on endothelium, transiently expressed on the surface of pathologically altered endothelial cells, for example, in inflammation foci; candidates for selective targeting of pathological vasculature. Targeting moiety: A molecule (usually, antibody) that specifically binds to characteristic surface determinants in cells, organs, or areas of interest. Being attached to a drug molecule or drug vehicle, such a molecule enhances their accumulation in therapeutic targets. 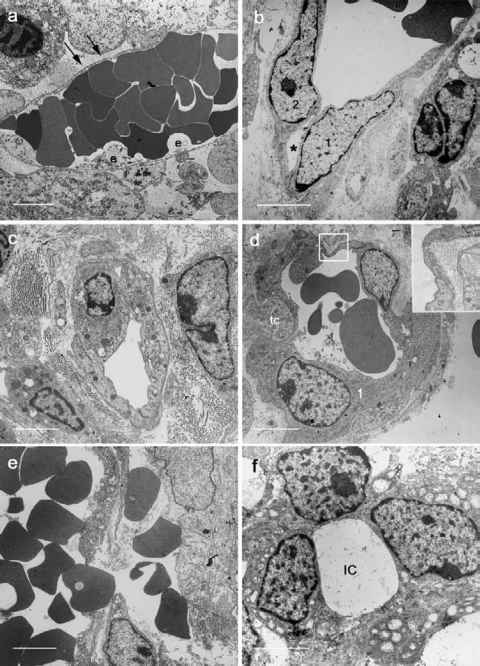 Vascular endothelial growth factor (VEGF): A multifunctional protein that facilitates vascular permeability and stimulates vascular proliferation and angiogenesis. VCAM-1: Vascular cell adhesion molecule-1 is a proinflammatory adhesion molecule expressed on endothelial and other cells altered by cytokines, oxidants, and other pathological mediators. Vector: A vehicle to achieve gene delivery. 1. Torchilin, V. (2003). Strategies and means for drug targeting. In: Biomedical Aspects of Drug Targeting, V. Muzykantov and V. Torchilin, eds., pp. 3-26. Dordrecht: Kluwer Academic. 2. Spragg, D. D., Alford, D. R., Greferath, R., Larsen, C. E., Lee, K. D., Gurtner, G. C., Cybulsky, M. I., Tosi, P. F., Nicolau, C., and Gimbrone, M. A., Jr. (1997). Immunotargeting of liposomes to activated vascular endothelial cells: A strategy for site-selective delivery in the cardiovascular system. Proc. Natl. Acad. Sci. USA 94, 8795-8800. 3. Thurston, G., McLean, J. W., Rizen, M., Baluk, P., Haskell, A., Murphy, T. J., Hanahan, D., and McDonald, D. M. (1998). Cationic liposomes target angiogenic endothelial cells in tumors and chronic inflammation in mice. J. Clin. Invest. 101(7), 1401-1413. 4. McIntosh, D. P., Tan, X. Y., Oh, P., and Schnitzer, J. E. (2002). Targeting endothelium and its dynamic caveolae for tissue-specific transcytosis in vivo: A pathway to overcome cell barriers to drug and gene delivery. Proc. Natl. Acad. Sci. USA 99, 1996-2001. This experimental paper describes a strategy for targeting specific surface determinants localized in rat vasculature in endothelial caveoli. In addition to enhanced effectiveness of drug delivery to endothelial cells, targeting caveoli facilitates internalization of endothelium-bound materials and their transcellular traffic via a unique endocytotic pathway. 5. Muzykantov, V. R. (2002). Targeting pulmonary endothelium. In: Biomedical aspects of drug targeting, V. Muzykantov and V. Torchilin, eds., pp. 129-148. Dordrecht: Kluwer Academic. 6. Pasqualini, R., Arap, W., and McDonald, D. M. (2002). Probing the structural and molecular diversity of tumor vasculature. Trends Mol. Med. 8(12), 563-571. An authorized review of an original strategy for identification of determinants expressed on normal and pathologically altered endothelial cells in diverse organs and vascular areas. It employs in vivo administration of phage libraries displaying high numbers of diverse specific peptides and selecting peptides providing specific targeting ofphages in the area of interest. 7. Kozower, B., Christofidou-Solomidou, M., Sweitzer, T., Muro, S., Buerk, D., Solomides, C., Albelda, S., Patterson, G., and Muzykantov, V. (2003). Immunotargeting of catalase to the pulmonary endothelium alleviates oxidative stress and reduces acute transplantation lung injury. Nat. Biotechnol. 21, 392-398. 8. Muzykantov, V. R., and Danilov, S. M. (1995). Targeting of radiolabeled monoclonal antibody against ACE to the pulmonary endothe-lium. In: Targeted Delivery of Imaging Agents, V. Torchilin, ed., pp. 465-485. Boca Raton, FL: CRC Press. 9. Reynolds, P. N., Nicklin, S. A., Kaliberova, L., Boatman, B. G., Grizzle, W. E., Balyasnikova, I. V., Baker, A. H., Danilov, S. M., and Curiel, D. T. (2001). Combined transductional and transcriptional targeting improves the specificity of transgene expression in vivo. Nat. Biotechnol. 19, 838-842. 10. Pardridge, W. M. (2002). Drug and gene targeting to the brain with molecular Trojan horses. Nat. Rev. Drug. Discov. 1(2), 131-139. 11. Lindner, J. R., Klibanov, A. L., and Ley, K. (2003). Targeting inflammation. In: Biomedical Aspects of Drug Targeting, V. Muzykantov and V. Torchilin, eds., pp. 149-172. Dordrecht: Kluwer Academic Publishers. 12. Harari, O. A., Wickham, T. J., Stocker, C. J., Kovesdi, I., Segal, D. M., Huehns, T. Y., Sarraf, C., and Haskard, D. O. (1999). Targeting an adenoviral gene vector to cytokine-activated vascular endothelium via E-selectin. Gene Ther. 6, 801-807. 13. Oh, P., Li, Y., Yu, J., Durr, E., Krasinska, K., Carver, L., Testa, J., and Schnitzer, J. E. (2004) Subtractive proteomic mapping of the endothe-lial surface in lung and solid tumours for tissue-specific therapy. Nature 429 (6992), 629-635. 14. Huang, X., Molema, G., King, S., Watkins, L., Edgington, T. S., and Thorpe, P. E. (1997). Tumor infarction in mice by antibody-directed targeting of tissue factor to tumor vasculature. Science 275(5299), 547-550. This experimental paper gives an example of tumor vasculature targeting strategy, which is potentially useful for destruction of solid tumors by cutting off their blood supply. This strategy is pursued by chemical or genetic conjugation of agents producing blood clots or endothelial damage are conjugated with monoclonal antibodies or peptides that specifically bind to surface determinants selectively expressed in tumor vasculature. 15. Nicklin, S. A., Reynolds, P. N., Brosnan, J. M., White, S. J., Curiel, D. T., Dominiczak, A. F., and Baker, A. H. (2001). Analysis of cell-specific promoters for viral gene therapy targeted at the vascular endothelium. 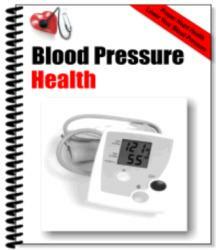 Hypertension 38, 65-70. Vladimir Muzykantov obtained an M.D. at First Moscow Medical School, Russia, in 1980, and a Ph.D. at the Russian Cardiology Research Center, Moscow, in 1985. He is an Associate Professor of Pharmacology and Medicine at the University of Pennsylvania. Muzykantov's research is focused on design of strategies for targeted delivery of therapeutic agents in cardiovascular system, in particular targeting of enzymes to endothelial cells. Sergei Danilov obtained an M.D. from the Second Moscow Medical School, Russia, in 1975, and a Ph.D. in 1980 and Dr.Sci. in 1994 from the Russian Cardiology Research Center, Moscow. He was a Visiting Professor at INSERM in Paris, France, from 1993 to 1995. He is now an Assistant Professor of Anesthesiology at the University of Illinois in Chicago. For 20 years, Danilov's research interests have been focused on structural-functional studies of angiotensin-converting enzymes using monoclonal antibodies and on the molecular design of affinity carriers to ACE for targeting of genetic materials to endothelial cells. Dr. Danilov has published more than 80 peer-reviewed papers on these subjects. This work was supported by NIH (RO1 HL71175, HL78785 and HL73940) and Department of Defense Grant (PR 012262).